Updated end unit in Whispering Pines, steps away from Rosamond Park, amenities, and trails. Perfect first home or rental property opportunity complete with updated kitchen with granite tile counters, stainless steel appliances, and updated cabinets. Relax and socialize in the open floor plan with recently added engineered hardwoods and updated interior. Master bedroom is spacious with a large walk in closet. Recently renovated bathroom and updated fixtures. The unit has a spacious second bedroom that can be utilized for multiple needs, such as a roommate or home office. One covered carport parking space is Included! Great HOA with solid reserves and operating budget, and amenities that cover heat, water, sewer, clubhouse, community pool, tennis courts, etc. 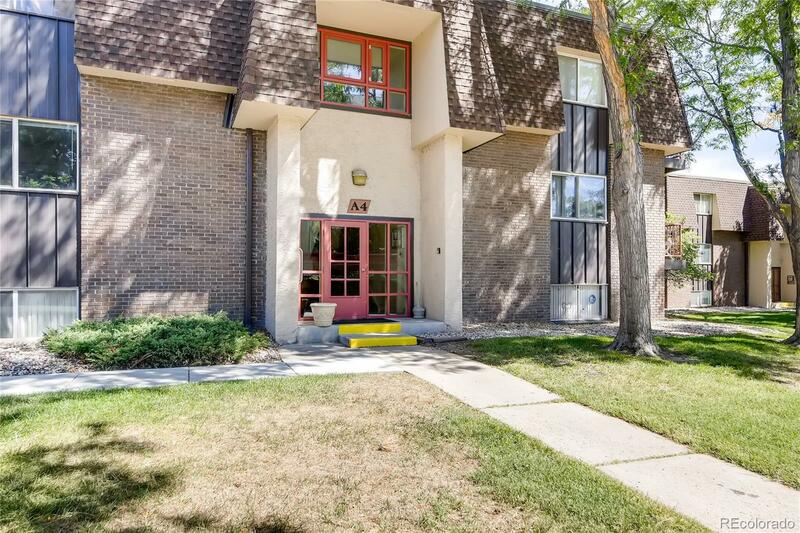 Perfect for entertaining guests and quick access to Downtown Denver, Denver Tech Center, Cherry Creek, parks and nature trails.